Welcome to AAA's Luxury Line. Whether, you want more comfort and style for an airport pick-up or drop-off within New Hyde Park, Floral Park, Franklin Square or Manhasset Hills... or you want to make a statement for an important meeting and want to arrive with the right impression - do it with AAA's Luxury line. Plus, AAA Luxury drivers know how to treat people right. After all, our customers pay a little more and should expect more from AAA's premium service. Attentive drivers that know enough to respect your quite space requirements to conduct business or personal matters and skilled in the best routes to get you to your destination. 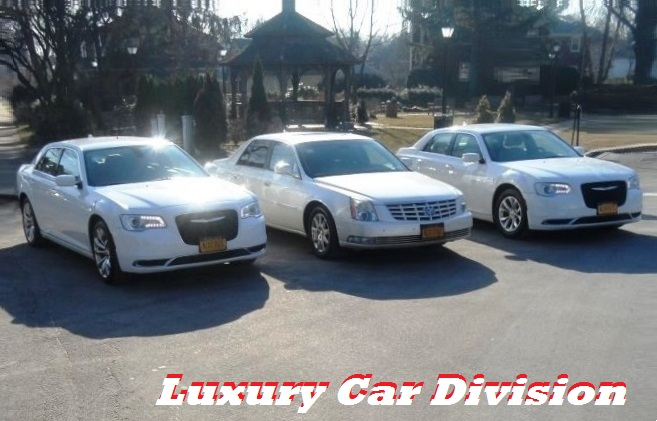 Each luxury vehicle is white glove clean, supplied with bottled water and light snacks. AAA Taxi has a variety of different luxury services and vehicles to meet your needs. Remember - You're on the w-a-y with AAA's Luxury Car Division...in Style ! AAA's Luxury Line Service has portable credit card machines for easy payments without delay. And our new RSVP app makes it Smart-Phone friendly. For over 50 years AAA has been Floral Park's most popular car service. The next time you need fast, reliable luxury line transportation, think of your community AAA car service first and support your local businesses. You should know that we continually update our pricing to remain competitive. Please check for our coupons in your local papers and Valpaks. Corporate Accounts Welcome.